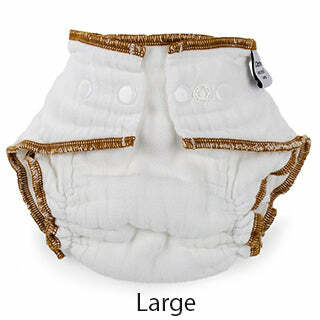 Cloth-eez® Workhorse™ original white fitted diapers. Optical-brightener-free, chlorine-free white 100% cotton. Our everyday low prices shown are direct-from-the-manufacturer savings. The compare-at strikethough price is the actual retail price elsewhere. 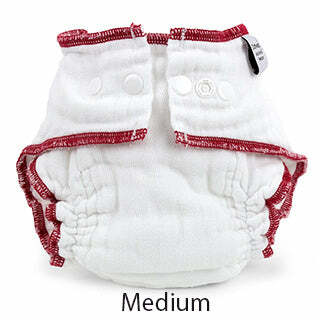 Cloth-eez® Workhorse™ original white fitted diapers. Sold individually. Chlorine-free white 100% cotton. Simple. Effective, pure cotton. Or choose the same thing in organically grown cotton here. Also in organically grown cotton here. Please note that you can use any laundry detergent on cotton diapers. You do not need to purchase "special for cloth diapers" detergents". We do not sell them and they are not needed on prefolds or Workhorse diapers. Keep it simple. Use what you would normally use on your regular household laundry. Yes, Tide is ok or whatever you happen to like. We do suggest unscented choices but that is up to you. This is a diaper which means it is the absorbent part. 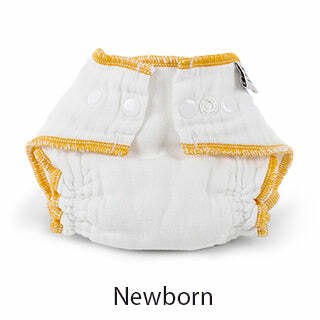 Use a diaper cover over this diaper, which is not included. Workhorse is also available in Organic cotton.